Founder of MCI Communications. MCI challenged AT&T's monopoly of the telephone industry and went on to become one of the nation's leaders in that field. 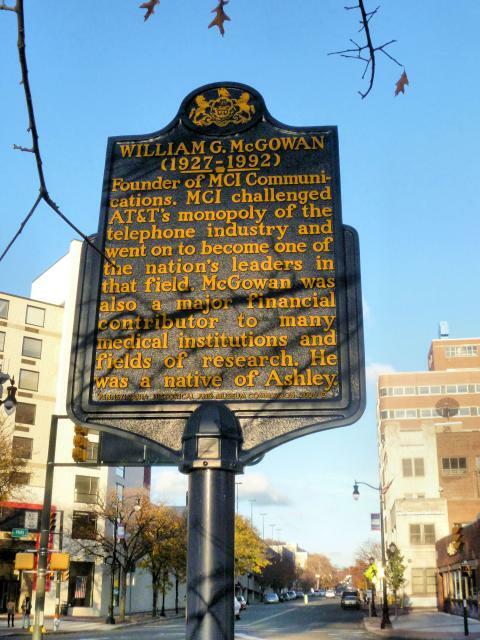 McGowan was also a major financial contributor to many medical institutions and fields of research. He was a native of Ashley. This marker can also be identified by its HM code. You can use the hashtag #HM19YP in tweets, and any other place where you might refer to this marker, including when searching on this site.